This ‘postcard’ came about while I was working on the Brooklyn Art Library’s sketchbook project. 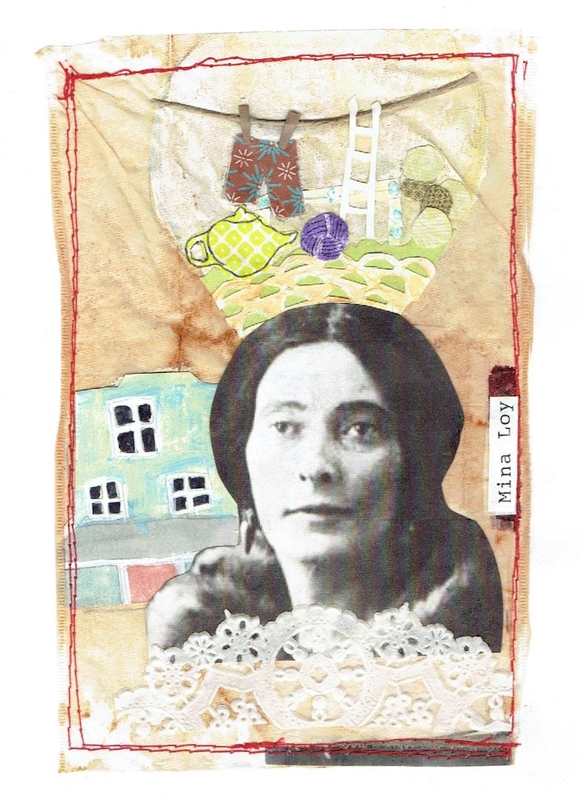 I have always been energized by spirit of the Dada period, so I began by constructing a story from words cut from a book (like some dada poetry), then alternating pages with art I am makinig on teabags, featuring artists from the period. I made a conscious effort to represent female and male DADA artists 2:1, respectively in order to reverse the narrative of the male centered culture in art. I am creating these works infused with the artist’s style and then posting tidbits of their history on my Instagram page @mary_art_girl, along with the corresponding image I have created. This art is then sewn into my sketchbook.